We recently got talking to our neighbours the other day. They are lucky enough to be heading to New York next weekend and asked if we had any recommendations we could give them. After visiting in 2016, we had a few and sent them over a few options which got me thinking about a blog post collating all the places we ate and drank at on our trip. I touched on them in this post here but thought I would expand a little more. 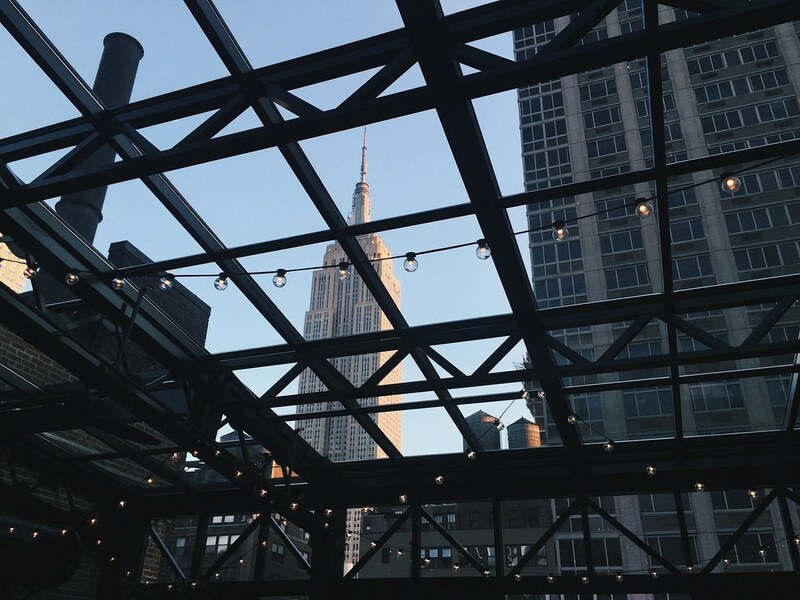 This cool rooftop bar is situated at the top of The Refinery Hotel and we couldn’t help but feel like A-listers as we rode the elevators to the top floor. As soon as you step out the buzz of the place is all apparent and you are thrown into an electric atmosphere. The place is located next to the Empire State Building. No joke, it is RIGHT THERE and you can see it as you sip cocktails. There is an outside part which I imagine is a pretty cool place to sit in the Summer, however there was a chill in the air and we managed to bag a seat inside where we shared cocktails and sliders. If you want a cool bar to visit that is worthy of fab Instagram photos then this is the place to go! We stumbled upon Juliana’s by accident after trying to eat at another pizzeria we’d heard about that was unfortunately closed for renovations. 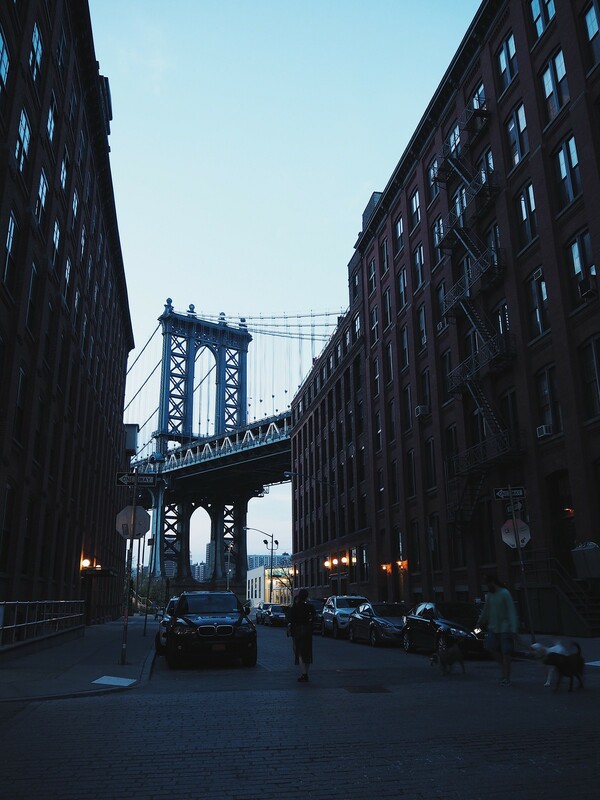 This is another place where the location is perfect – it is right under the Brooklyn Bridge (on the Brooklyn side). Get there early to avoid a long wait for a table (we went at 6pm). You’ll get lucky if you get seated next to the kitchen as you’ll be able to watch (and smell) the pizzas being made. The pizzas are too large to fit on a table so they give you a wire shelf to fit them on whilst you eat slice by slice. 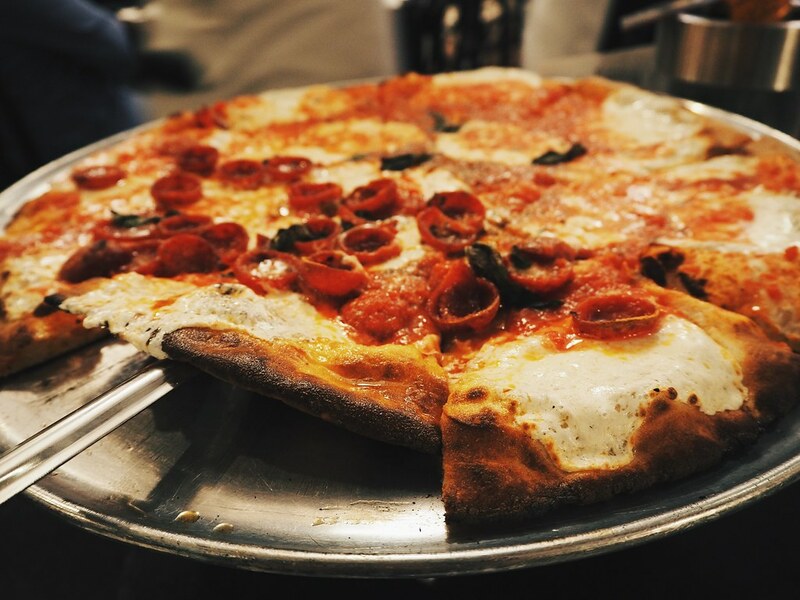 Traditional Italian pizzas at their finest. Not to miss if you are a pizza lover! The Rum House is widely recognised as one of the best cocktail bars in New York City. 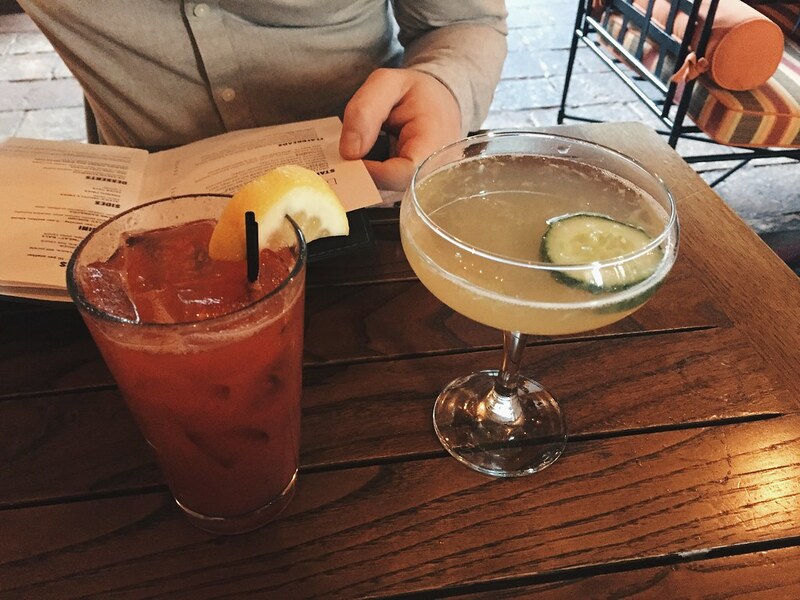 The bar has a distinct downtown sensibility being located right next to Times Square. Expect amazing cocktails and a brilliant evening spent listening to upbeat jazz. You’ll feel like you’ve stepped into the 1920’s when you step into this bar. We will most definitely be returning when we next head back to New York. We met friends for dinner and drinks one evening during our visit who had lived in the city for a number of years and were members of Soho House. This meant we were lucky enough to wine and dine at the exclusive members only bar/ restaurant for the night. Our evening began with drinks on the rooftop next to a illuminated pool. And ended in cocktails and a delicious dinner in the downstairs restaurant. If you want to visit though then find yourself a member to put you on the guest list! 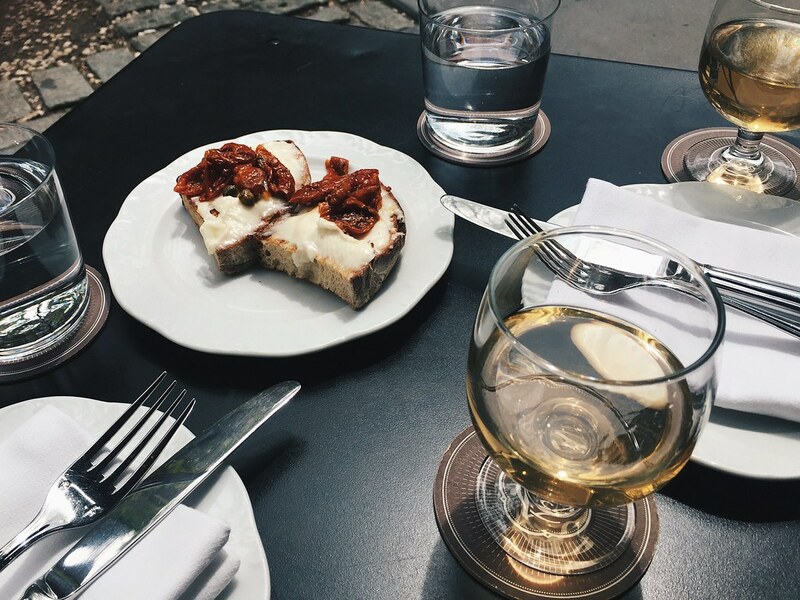 Via Carota was another place we just stumbled upon when needing to rest our legs. 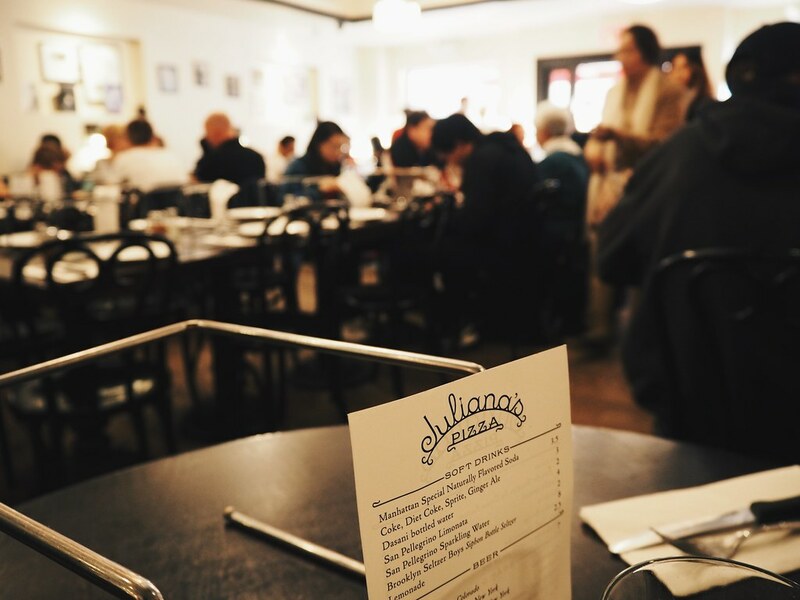 Situated in Greenwich village, we had a table in the sunshine. It is the best place to people watch whilst sipping on a glass of wine in the afternoon. We had some bruschetta to accompany the wine so can’t comment too much on the food (although it was delicious). The place was full at 3pm on a Monday afternoon though which makes me think that the food is good! We visited Ess-a-Bagel on our last morning after checking out and wanting to make the most of our last few hours exploring the city without spending too much time eating. Queuing with the local commuters picking up the breakfasts made us feel like proper New Yorkers. It’s clear to see why this place is so popular for breakfast on the go. A perfect place to visit for an authentic American breakfast snack. 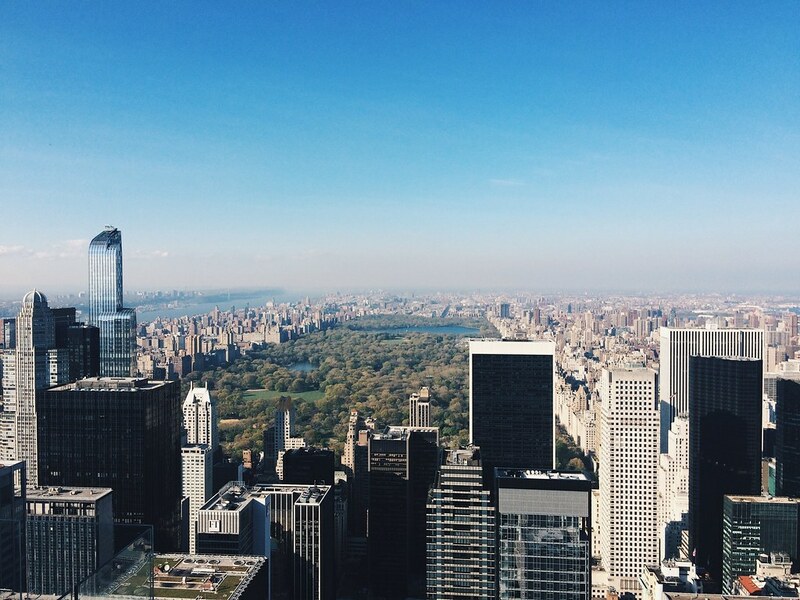 Where are your favourite places to eat and drink in New York?